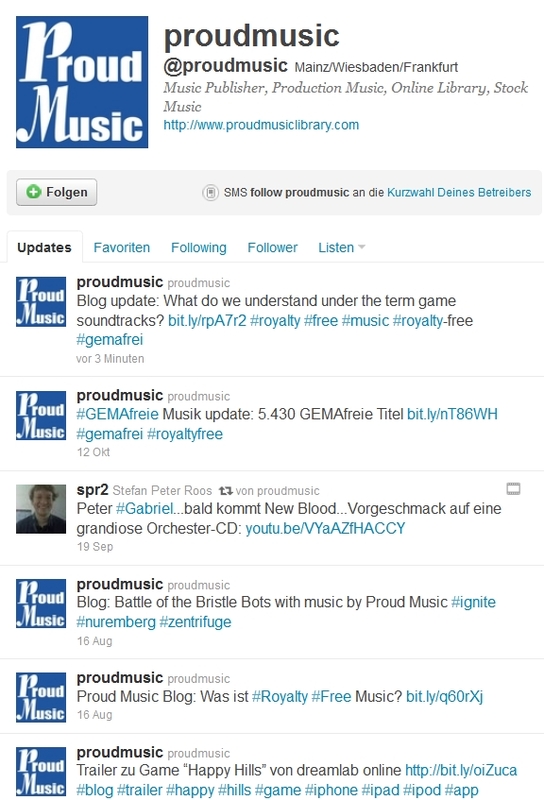 Proud Music has been tweeting for some time. Advantages: 1) Whoever has a quick question can “tweet us up,” 2) obtain updated Proud Music News, and 3) obtain worth-knowing information from MusicBizz. Just follow our Twitter account @proudmusic. Previous Previous post: What do we understand under the term game soundtracks? Next Next post: Does the standard license also include the use of educational videos?